Well, we all survived another Black Friday. Smart Home Products factored heavily into the retail promotions of Amazon, Best Buy and others. One CyberMonday surprise was the announcement that Lowe’s has finally decided to stop being a service provider and is actively looking for a buyer for their Iris ecosystem. Lowe’s attempts to build their own ecosystem has been a struggle from the moment of launch, pigeon-holing Lowe’s to promote their solutions over all others in the fragmented Smart Home market. 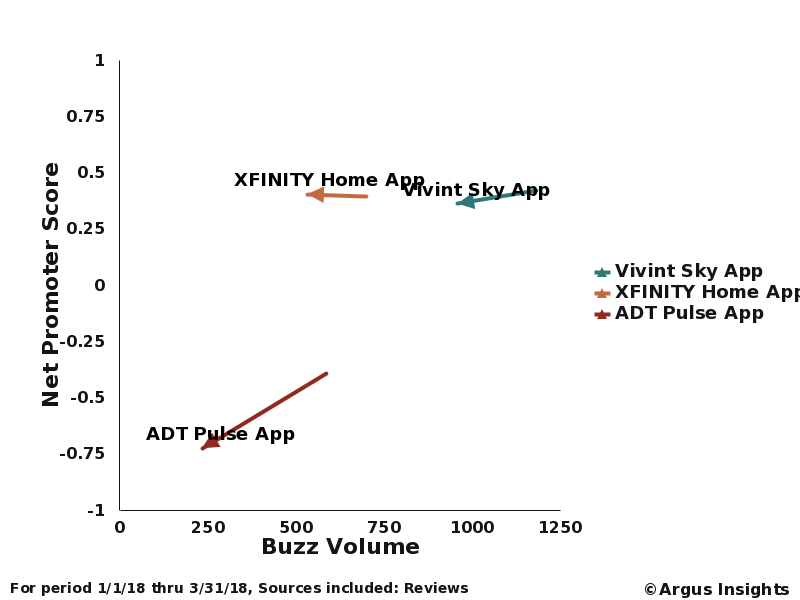 Even as Vivint and Comcast deepened both their relationships with users and their dominance over other providers like ADT and AT&T, Lowes frustrated users with one of the poorest performing apps of any of the service providers, even ADT. Coupled with the rapid rise of Smart Speakers like Alexa (Vivint was the first to integrate Amazon into their ecosystem) and the dominance of hero products like Nest Thermostats or Arlo cameras, Lowes was stuck with products consumers did not want, lagging features like voice integration, powered by a service that created more churn than the launch of the first iPhone. Best Buy and Home Depot avoided this trap by focusing on the hero products to drive engagement and offering logical expansion products for DIY consumers like smart switches, plugs or enticing consumers with Smart Lighting solutions. That product mix agility allowed Best Buy and Home Depot to sidestep the path of pain that Lowes experienced, take market share away from Lowes, and more importantly, learn from their buying and using public, what aspects of Smart Home were working for consumers. Similar to Revolv customers after Google decided to shut off the services, Iris customers are now in limbo, waiting for someone else to take up their service. Their reward for investing in Iris, a home full of devices that may or may not work with other Z-Wave or Zigbee enabled platforms and services. Here’s to 2019, may we all get even more of this opportunity right for both consumers and the companies brave enough to support this adventure!